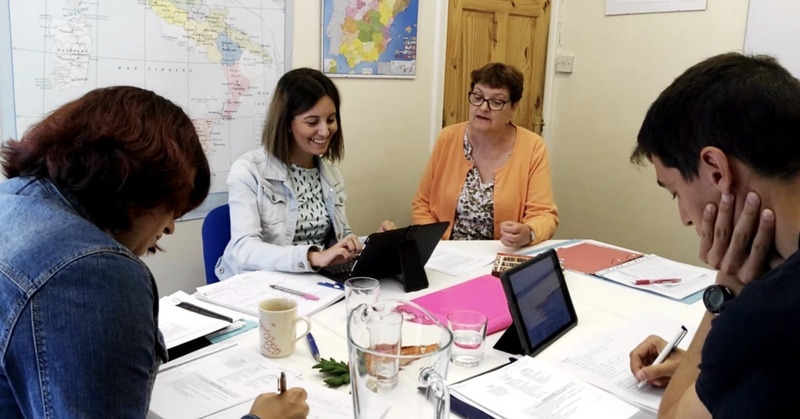 Mary Spratt and Helen Baker have run our two weeks’ CLIL course for a group of secondary teachers from Zaragoza, who taught a variety of disciplines from PE to Music and Art. We’ve interviewed them after the end of the course. How was your experience teaching CLIL at La Dante? I think it was very positive. La Dante is a small school and because of it everybody is able to meet, everybody supports and gives ideas to everybody else and you just get this great feeling of collaboration. I think this kind of setup is quite special. What were the highlights of these two weeks? We’ve been working for two weeks with three Spanish teachers who teach Art, Sport and Music in a school in Zaragoza. I think that the highlights of these two weeks were hearing them talking about their own lessons and their own students. Some of them had great ideas about how they could create programmes for their classes and how to turn their classes into CLIL classes. These teachers were just so very motivated and it has been a pleasure teaching to them. What is the most important message you would give to teachers who would like to apply for a CLIL Course at La Dante in Cambridge? I think that a lot of subject teachers are quite frightened or worried about teaching CLIL and similarly a lot of English teacher trainers are worried about teaching CLIL. CLIL is a challenge, I agree, but I also think that CLIL is a great deal of fun and experiments: one of the Spanish teachers this morning said: “teaching CLIL is an adventure”. Some people probably think “I do not want an adventure, I want a recipe”: it’s difficult to find a recipe for CLIL, but there are guidelines and within those guidelines, you can do lovely adventurous things. It’s true that when students learn both content and language together it helps them to get motivated for both and to make very good progress in both. How was your experience teaching CLIL at La Dante? 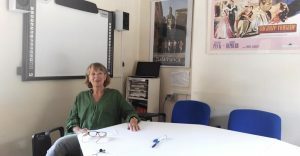 I’ve really enjoyed the experience of teaching CLIL here at La Dante, I had some very motivated students who were really keen to apply their teaching knowledge to the CLIL situation. The best thing for me has been seeing them develop their ideas and putting the theory into practice over the time. We also had a relaxed working atmosphere with treats and celebrations along the way. What is the most important message you would give to teachers who would like to apply for a CLIL Course at La Dante in Cambridge? I’d recommend that they come with an open mind and be prepared to learn a lot, perhaps in a short time, and to adapt their knowledge of teaching – which should already be extensive – to the CLIL situation. I hope that more students will want to join during the next years and have this experience seeing how CLIL can really enrich their teaching.